As the sun rose over the back of the house, much earlier than I it should be noted, I had around twenty minutes with my camera with which to make a few frames of the frost. 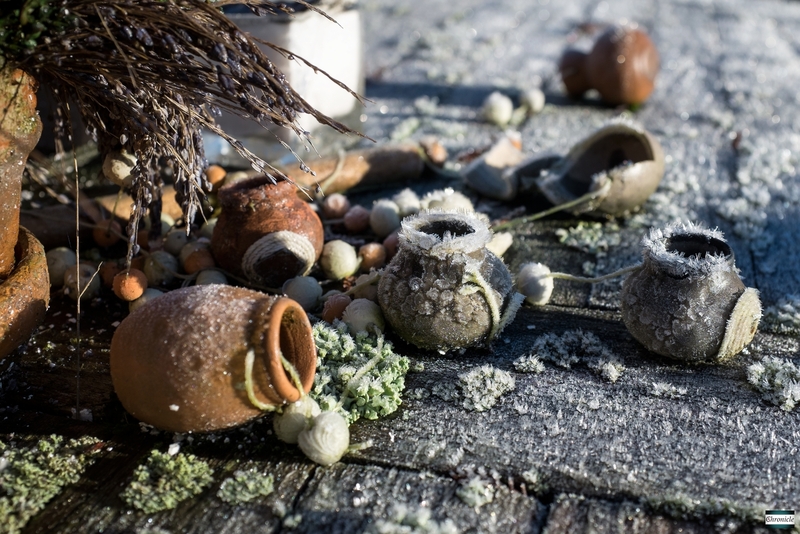 On an old wooden table, a space reserved for the birds where they can feed in safety, behind the high fence and out of sight of looming sparrowhawks searching for a warm breakfast, lay these miniature terracotta and stone pots, bitten, chipped and cracked by previous cold-snaps, still wearing their frozen yet fragile crowns. But, they wouldn’t for long. Winter can be as delicate as it can be hard, it seems.